You may have noticed this campaign from Guinness, which asks Guinness drinkers to sign a petition, which will be presented to Congress, requesting that St. Patrick's Day be declared a national holiday. 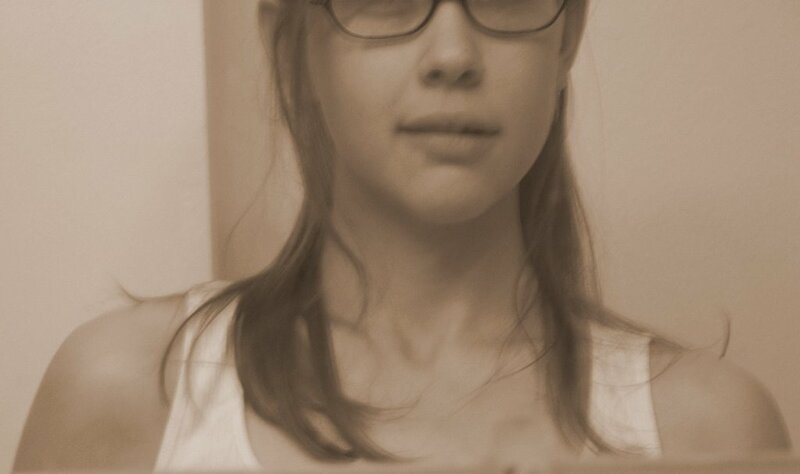 (The site for the promo is proposition317.com and print ads to drive traffic to the site have been running as well.) 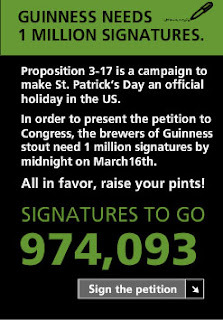 When Guinness gets to one million signatures, which it's obviously not close to, it'll make the trip to Washington, DC. Great idea, but as a campaign it's kind of a one-off. Don't think Guinness can pull this stunt every year. Or, you could just create a new holiday, like Deep Focus did for Dewar's White Label (http://www.repealday.com). Is this Toyota ad an homage or a rip-off?